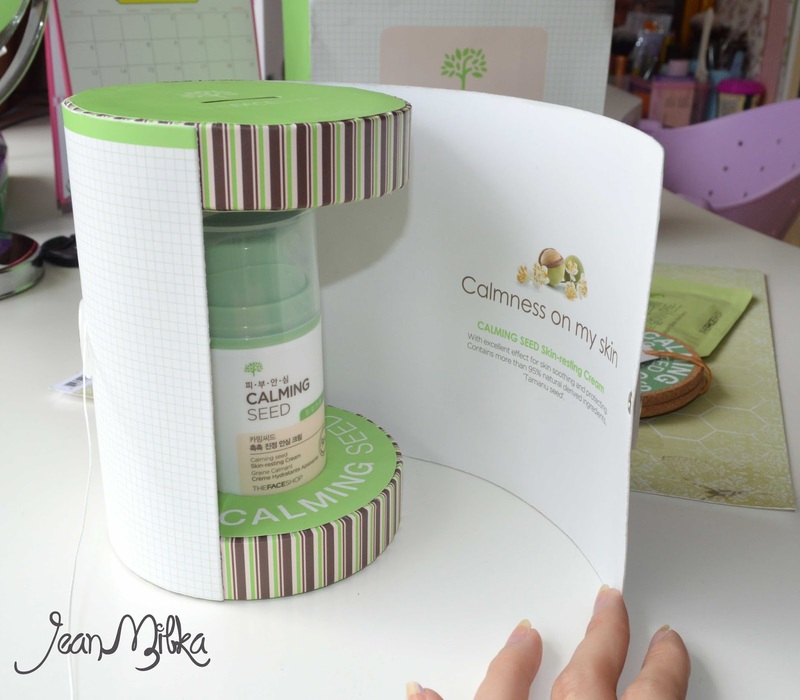 Around 3 weeks ago, The Face Shop sent me one of their new product from Calming Seed skin care line. 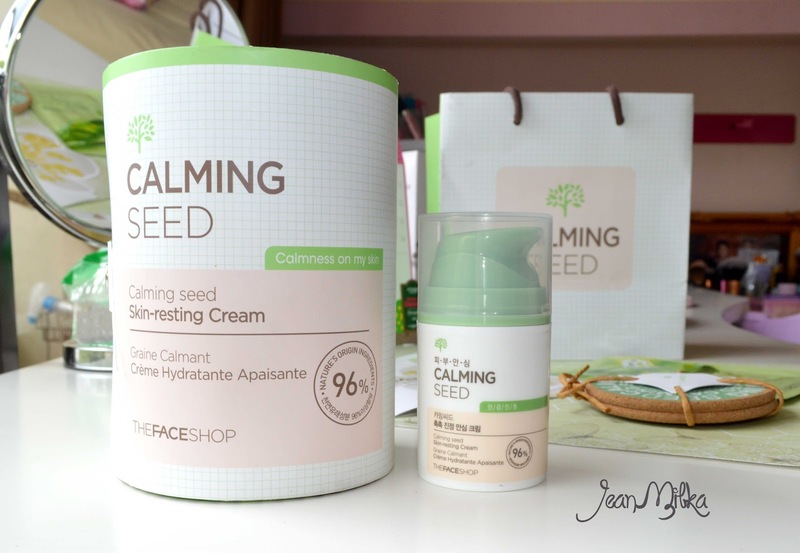 Calming Seed is new skin care line from The Face Shop which is specifically intended for sensitive skin. Actually, I am not sure if my skin is sensitive or not. 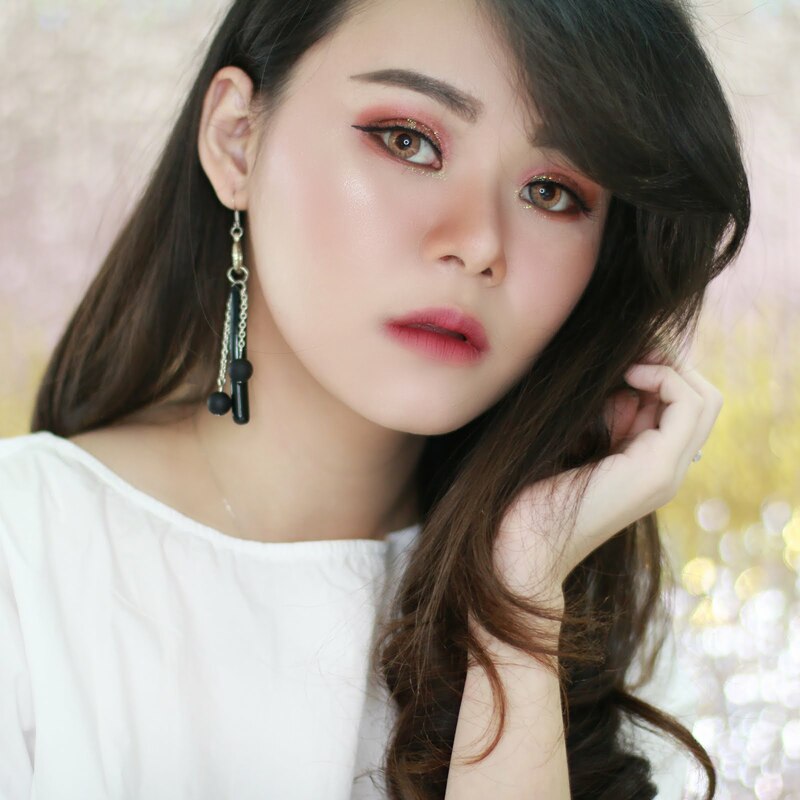 When I check my skin to beauty counter, some of them said that my skin is sensitive, but I am not really feel like I have signs of sensitive skin. First off all let's talk about sensitive skin. What is the signs of sensitive skin? 1. It's easy for your skin to get irritated. Can cause of dust, sun, humidity, weather, skin care product, etc. Irritated here means acne, blemish, bumps or any others skin problem. 4. Your skin feel burning when you try most of new product. From all of this signs, I only experience few of them. Like my skin turn red cause of weather and my skin also feel burning when I test some product. One thing for sure, I have a very thin layer skin so you can see nerve around my cheek. 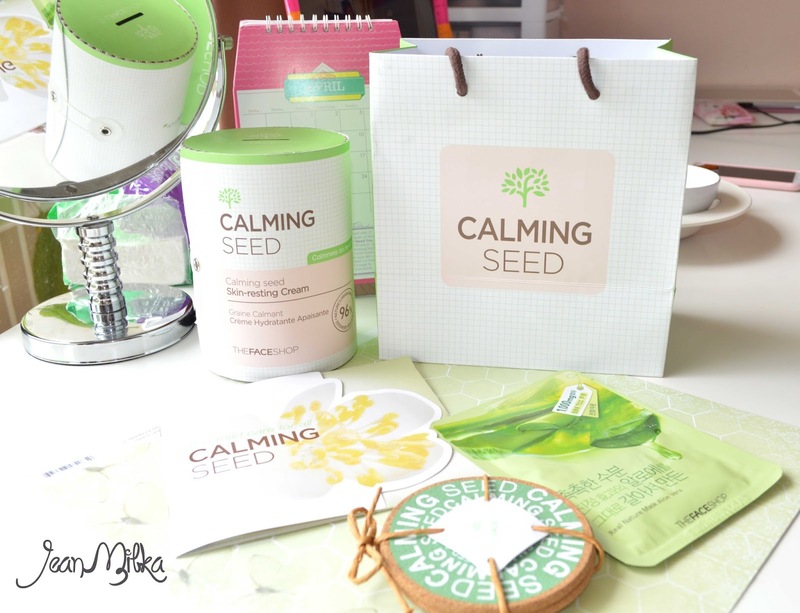 Calming Seed line consist of Calming Seed Mild Bubble Foam Cleanser, Calming Seed 1-Second Calming Mist Toner, Calming Seed SOS Care Essence, and Calming Seed Skin-Resting Cream. 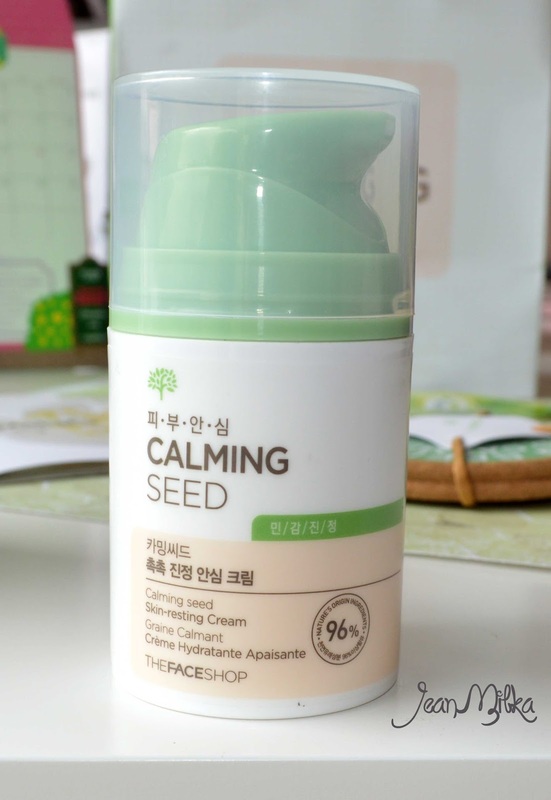 The Face Shop sent me Calming Seed Skin-Resting Cream (50 ml). It's basically a moisturizer. This product contains more than 95% natural derived ingredients, 'Tanamu Seed'. What is Tanamu Seed? Tanamu seed has been used to protect skin from sun and sea breeze. It's helps in regenerate skin cells, strengthens and protect our skin. I think this is the biggest packaging i have ever seen. This product comes in huge tube box. This is an interesting part for the packaging.. the tube box, you can use that as money box. 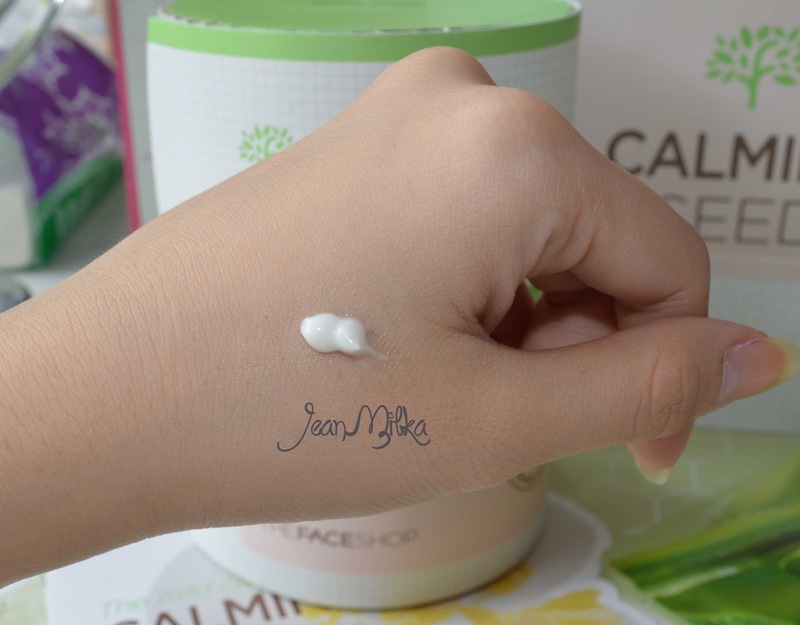 On the packaging, it claims that Calming Seed Skin-Resisting Cream with excellent effect for skin soothing and protecting. Contains more than 95% natural derived ingredients, 'Tanamu Seed'. It's basically just a chubby plastic bottle and I am so glad that it comes with a pump. It might not travel friendly if you consider how chubby it is, but since it was plastic packaging... you don't need to worry that it might be broke. The consistency is not too thick, it's more like water base cream. It glides on very smooth on my skin and doesn't feels sticky at all. 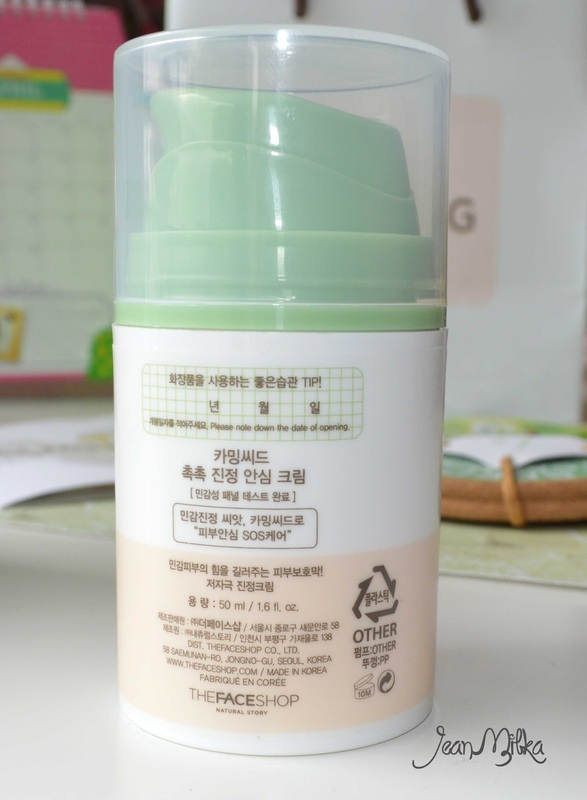 It's absorbed very fast to my skin and feels like powder finish. And also, it smells like very natural, I can't explain that. This is how it looks like on my skin. As you can see from first picture, it's moisturize your skin but after you blend it, in second it's absorbed to your skin and doesn't looks oily at all. It's not really moisturize your skin. I am not sure how it does for dry skin, but I didn't feel like it's moisturize enough after few hours. They also sent me one of their mask. Oh yeah.. I never review about a mask, I always confused what should I talk about mask. For me all mask is just same.. refresh your skin... hehehe... let me know if you want me to review mask. 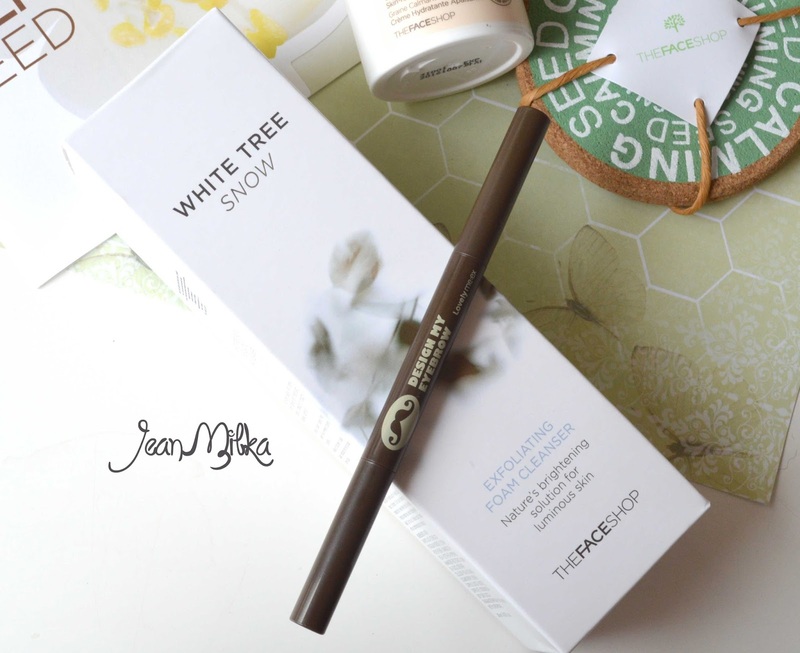 Oh yeah they also give me 50.000 IDR voucher so I decide too bought some product *can't resist the voucher* which is White Tree Snow Exfoliating Foam Cleanser and Design My Eyebrow. 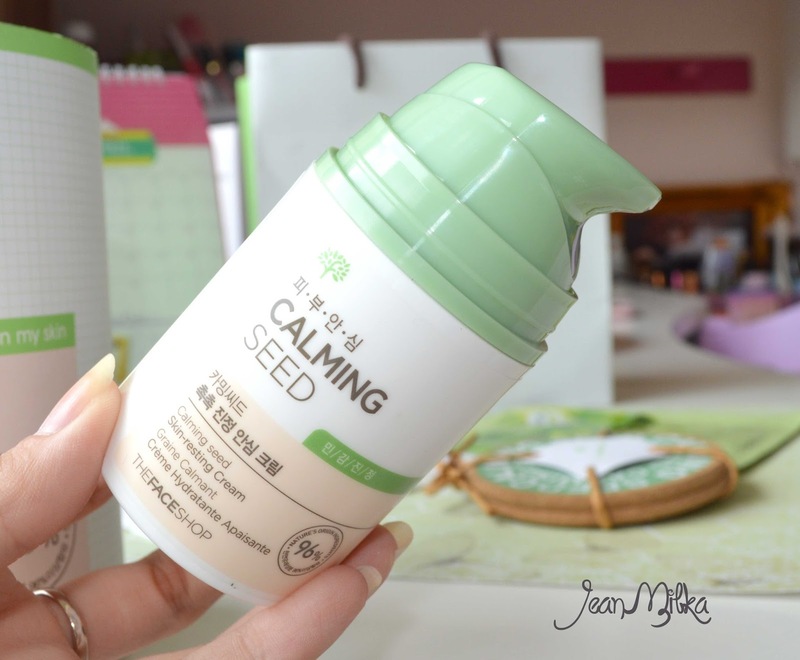 That is all for my review.. if your try this product or any product from Calming Seed skin care line... please comment down bellow.. I was consider to try another product from this line.. Which one you suggest me to try first? 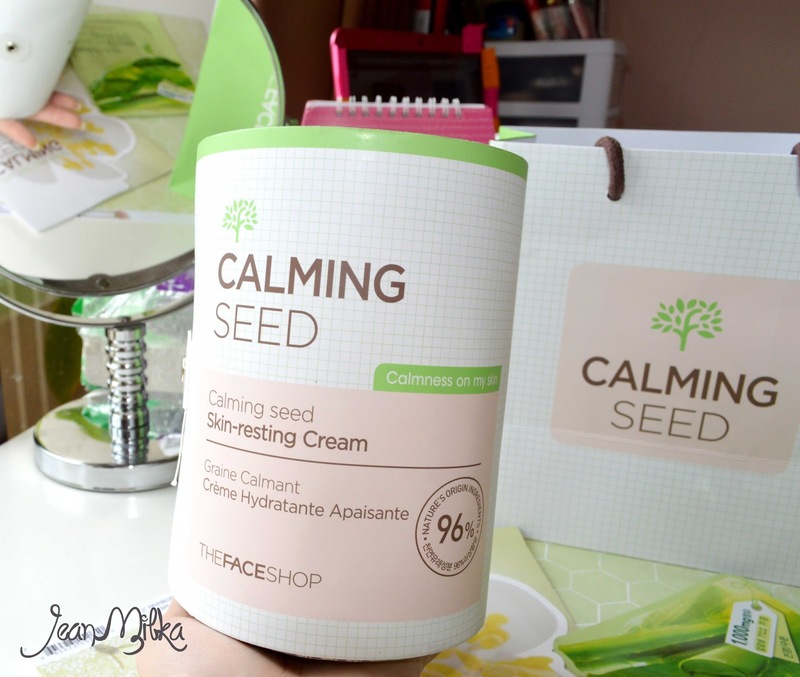 12 komentar on "Review : The Face Shop New Product Calming Seed Skin Resting Cream"
wah kayaknya produknya bagus ya buat yang berjerawat + oily..
Oh that cream looks like a good product! Sampai sekarang setiap kali aku merasa kulitku kering, ini masih jadi produk andalanku kok. Recommended banget dech..
dimana nih saya bisa belinya ? 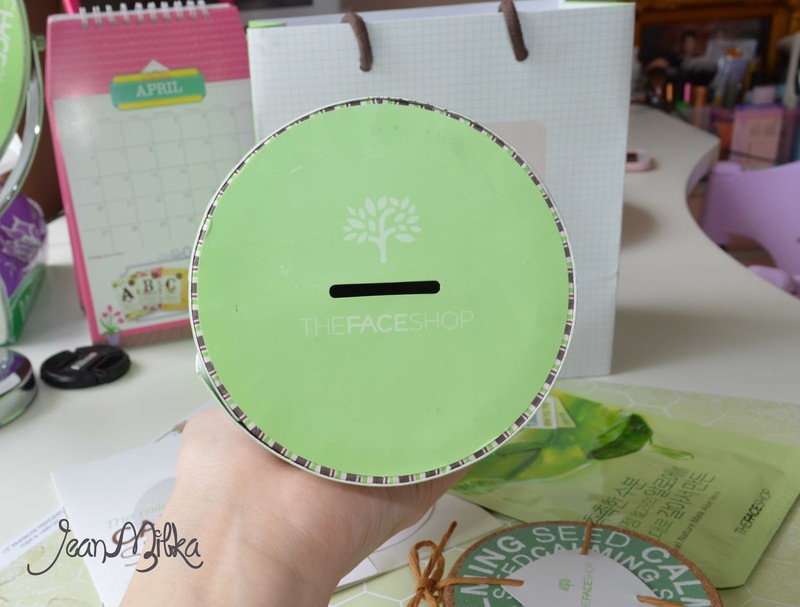 ini masih available yah di toko the faceshop indonesianya? kalo yang cleansernya masih available ga yah?